Unfortunately, everyone’s least favorite season is upon us—cold and flu season. It’s those few months where everyone around you is sniffling, coughing, or sneezing. Everywhere you turn, someone is fighting something and you’re on the defense to ensure you don’t catch what they are giving out. The problem with cold and flu season is that those pesky germs are invisible to the eye, and so unknowingly to you, you are allowing those germs to enter your body and temporarily take over leaving you feeling sick and miserable. As precautionary methods, you wash your hands more, cover your nose and mouth when you cough or sneeze, and bundle up when heading outdoors. But is this enough? You want to make sure that your immune system is working its best to be able to fight any pesky bacteria or virus that even dares to enter. For this reason, give it an added boost by implementing these immune-boosting foods into your diet. Yogurt: Yogurt provides good bacteria and having more good bacteria means a stronger immune system to be able to fight off illness. Eggs: Eggs are packed with zinc, which is known to reduce symptoms related to a cold. Start stocking up on eggs within 24 hours of feeling something coming on. Oatmeal: The fiber found in oatmeal helps boost your immune system. Furthermore, adding antioxidant-rich berries to the mix can further improve your immune system. Cauliflower: Cauliflower naturally helps your body create more antioxidants, which can help you fight off illness. Seafood: Tuna, salmon, and oysters contain nutrients, which can activate T-cells. Hot beverages: Many teas are high in antioxidants, which can help you fight off illness. Furthermore, adding lemon or honey to your hot beverages can provide other soothing relief and benefits. Spicy food: When dealing with congestion, opt for something spicy, as it will help break all that mucus up. Fennel: Fennel is quite high in essential vitamins that boost your immune system. Some studies have shown that nutrients in fennel help your immune cells work more efficiently too. Carrots and sweet potatoes: Carrots and sweet potatoes may be what the doctor ordered to improve congestion and sore throats. Red bell peppers: Red bell peppers have double the amount of vitamin C than oranges, so they may very well be your new go-to for illness fighting. Garlic: The components found in garlic have been found to help reduce your risk of colds during the winter. Chicken soup: This is the ultimate go-to comfort food, along with immune booster because it allows you to mix all the other immune-boosting foods such as chicken, carrots, garlic, peppers, and even spice to create illnesses worst enemy. Brussels sprouts: Nutrients in Brussels sprouts not only keep your immune system healthy, but they help to prevent damage too. Coconut water: Coconut water helps keep you hydrated along with restoring electrolytes that have been lost during a cold or flu. 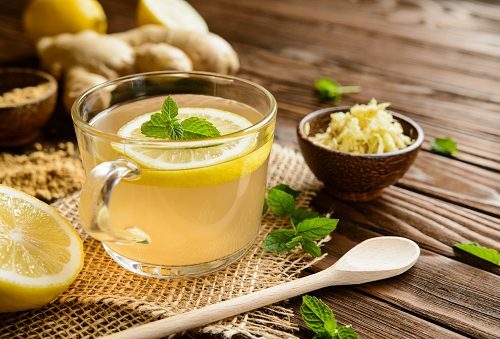 By stocking up your refrigerator and cupboards with these immune-boosting foods, you can ensure you have a stress-free cold and flu season and not be bogged down by horrible symptoms.